Our clients in Toronto are enthusiastic supporters of Rockhurst’s unique approach to assisting them in finding success in their careers. Françoise has been providing life coaching, career management consulting, and training services for the past fourteen years in Toronto. With her tactful, encouraging, and insightful style, Françoise has helped hundreds of individuals gain the confidence and knowledge necessary to achieve fulfilling professional and personal lives. She is an enthusiastic facilitator who has developed many workshops and courses in creative job search strategies, career management, self exploration, stress management, and mindfulness. After obtaining her Business Administration Degree, Françoise started a translation business that would bridge her passion for languages, international relations, and the business culture. She worked for large organizations such as the United Nations, Cirque du Soleil, and Pepsi Cola, as well as smaller companies and a number of federal and provincial ministries. Besides her successful experience as an entrepreneur, she has been actively involved in the study and practice of philosophy for over fifteen years, organizing hundreds of cultural and volunteer initiatives in Toronto. Her passion for human development led her to obtain additional education in the field of Career Management in Toronto. She is certified to administer and interpret psychometric tests and personality assessments such as the Myers Briggs Type Indicator (MBTI), Strong Interest Inventory, and Personality Dimensions. While engaged in independent career coaching, she has also worked for organizations such as the Centre for Education and Training, and the University of Toronto. 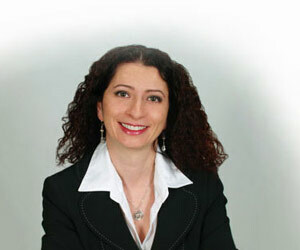 Françoise is truly passionate about helping clients find their vocation and live with passion. When she is not coaching, she enjoys yoga and tai chi, personal image and fashion style, photography, expanding her knowledge in morphopsychology, and exploring the world.